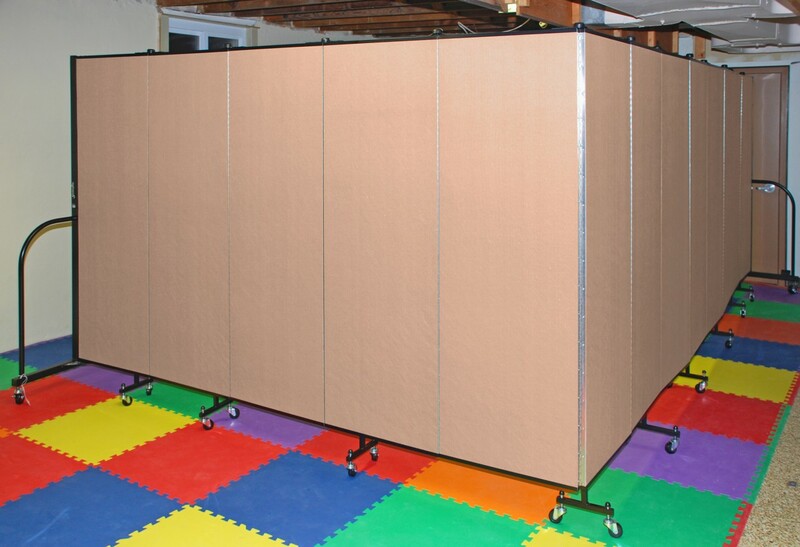 Uses: Church, Day Care, Fellowship Hall, Multi Purpose Room, Religious Colors: Browns/Tan/Beige Lengths: 13 panel 24'-1" Heights: 6'-0"
As your church evolves, so should the way you use your space to fit the needs of your congregation. 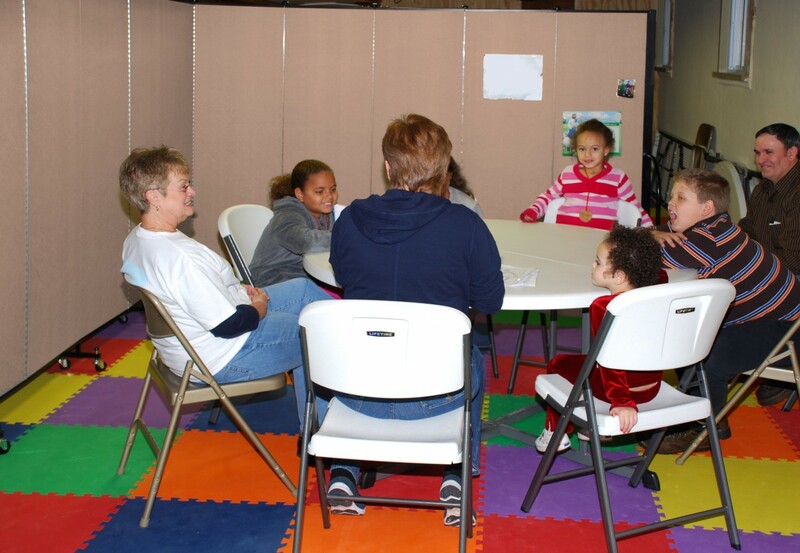 This church saw an increase in Sunday School attendance and needed additional rooms right away. Screenflex Room Dividers were just the solution and the great thing is that the dividers arrive fully assembled. When the dividers arrived, the church staff covered the floor of their multipurpose room with colorful foam tiles and rolled the room dividers into place to create several classrooms within the allotted space. A few tables and chairs were added for the students to sit at for discussion and for arts and crafts. Some teachers even tacked posters to the fabric walls to enhance the classroom. The possibilities are endless.